Got a book event coming up? Great! This checklist is designed to help you maximize your exposure at the event, and look like a book promotion genius! See if you can get a copy of the store’s media list. More than likely the bookstore will send out press releases but it’s important for you to do the same. Not only will you be able to target the same people twice, but the store manager will also know that you are actively involved in doing book promotion for your own event. Send a quick email confirmation of your signing to the bookstore. Include things like date and time, and also who will be supplying books to the event and how many. Are you bringing books? Is this a consignment deal? If so, be sure to outline the terms as you understand them in the email. This is the kind of thing that makes you look like a true book promotion professional and show the store manager that you take your book signings very seriously. Start tapping into that media list you’ve been creating and begin contacting local media to promote your book event. If you have a place where you list Author Appearances on your website, be sure to update that. As well, you could email your list and invite any local fans to join you. Even better – see if you can invite them to come by early so they don’t have to wait in line for their signed book. Be sure to check with the bookstore to make sure this is okay. If you have lots of local fans, this is a fun way to help drive your book promotion in a way that feeds your super fans with the kind of exclusive events they love! There are so many ways to do online invitations these days. If you have a big local list of folks you know, get those online invitations out asap! Got swag? Things like bookmarks and post cards are great book promotion tools in general. But they’re especially fun to have for book events. So you’ll want to get these printed up quickly. Places like VistaPrint and GotPrint can do these quickly and easily for you! When it comes to great book promotion – you know what they say: go big or go home! Get the cover of your book enlarged to poster size and mounted on foam core. If the book store or event venue will let you display this early, be sure to do that. And here’s another tip: get a smaller sign printed up with the date and time of your event and then use a few Velcro tabs to adhere it to the poster. You can leave this at the store or event venue (again with their permission) and then on event day you can have one printed up that reads: Signing today! And be sure to list the specific hours you’ll be there. If you have the time and the budget, get a set of colorful pens made up with the title of the book and author’s name imprinted on it then when you sign the book, give the reader the pen. It’s another great way to secretly insert some add book promotion into your event and spread the word about your book! And, of course, a great way to keep track of all of these moving pieces is my free monthly book marketing planner. If you haven’t downloaded it yet, you can get it here. Things to Bring to Your Book Event! Bookmarks – I try to hand these out like crazy. Sometimes I’ll even hand them out with a flyer (if I’ve made one) when people enter the store. I’ve even autographed one or two when people hesitate to buy a book. More often than not, they return at a later time to buy a copy just because I gave them a bookmark. It’s a great and fun way to insert some book promotion into a greeting! Chocolate – There’s no greater book promotion tool than chocolate! I like to fill an attractive jar with Hershey’s kisses or some other small chocolate. Food attracts people and may even keep them lingering a bit longer. If you have something that specifically ties into your book – like a recipe or some such, you can use that, too! Maybe hand out recipe cards with your book information on them. Newsletter sign up – newsletters are a very under used book promotion tool (you can read why they’re so fantastic here). So please don’t overlook this for your next event. Always have folks sign up for something – hosting a fun raffle at your book event is a great way to build your list, too! Be sure to tell readers that they don’t have to be present to win. In general, people hate that; I know I do. I mean who wants to stick around a book signing for four hours? Well, okay, except for the author. Make up a small flyer to hand to people who enter the store. They may not even know about your signing but you’ll be sure to tell them. Keep in mind that heavy book promotion of your signing does not just benefit you, it also benefits the store and sends a strong message that you know how to move your books. Don’t sit down unless you have to. This is kind of a big deal, and I talked about this in my prior post. Good book promotion is about message and movement and often, readers are less inclined to stop and chat if you’re just sitting there, looking bored or checking your phone. Even better: set your phone to airplane mode so you aren’t distracted! Remember to take lots of pictures. Visuals are great book promotion tools! Are there books left over? Here’s a fun little book promotion idea: Tell the store manager that you’d like to sign the remaining books before you leave the store and see if they have “Autographed by Author” stickers for them. If they don’t, you might want to think about ordering some from one of the digital printers I mentioned previously. You can get these and a variety of other book stickers for $5 a roll. These stickers will really help to move your book. Autographed books make great gifts! Don’t feel confined to stay just a few hours. Stay as long as there is an interest in the book. Once, I booked a signing for two hours; I ended up staying for five. Sound crazy? Maybe, but this is the kind of dedication that could get you invited back…and sell more books! Send a thank you note to the person in charge of coordinating your book event. Don’t send an e-mail. Send a handwritten note. A quick and thoughtful hand-written note can be a great book promotion tool and it will go a lot further! Be cautious of pay periods when scheduling a date for your signing. Especially if you’ve got a book event around the holidays. For example, I will always try to schedule mine around the 15th or 30th of the month. It could really help boost your book sales. Another fun book promotion idea is to check to see if the store has a newsletter. If it does, offer to write a short article on your book or discussion topic that will draw more attention to your book event. Keep the article interesting and helpful without giving away everything you plan to share with your guests. Or, if your book is fiction, share an interesting excerpt from it – or the idea that sparked the book! Sometimes bookstore newsletters are printed by their corporate offices but generally they print them in-house and are always in need of “filler” items. Many, of course, are now offered in online formats! Your book promotion shouldn’t stop with event fliers and in-store displays! Contact your local TV stations and (if possible) speak to the producer. Call the day before (if your signing is on Sunday call them on Friday) and let them know you’ve sent a press release regarding your book event (you have, haven’t you?). If they need a 60-second filler, you can offer their viewers some helpful tips on XYZ. Or, if your book is fiction, play up the “local author” angle. Local stations love that. Speaking of regional media, if you can get yourself booked on a radio show the day before or preferably the morning of your book event, you’ll really help to boost interest. If you get some on-air time, consider giving away a few of your books during the show. And remember to tie your book and event into something topical and relevant! Check the book event/section of your local newspaper. Many announce author event and this is a fab way to get some ink on your book event and ramp up your book promotion for the gig! If they do, you want to make sure yours is included! Be sure to send them a notice of your event at least a month out. Book events are great book promotion tools to help connect you with a new and often local audience. It’s also a great way to build your media experience, if you can get some media hits locally for your event. I wrote a bigger piece on book events and surrounding book promotion here, so be sure to check that out as well and I’d love to hear some of your success stories in the comments section below! Good luck! Thank you to Penny Sansevieri for permission to republish this article. 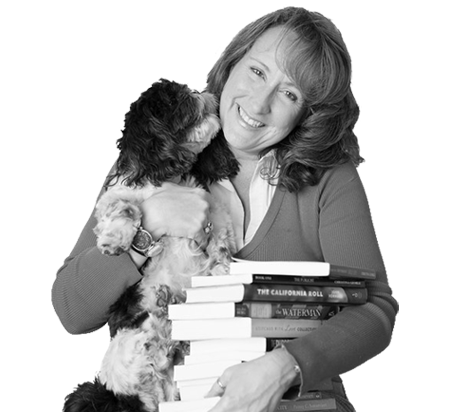 CEO and founder of Author Marketing Experts, Inc. (AME) and Adjunct Professor at NYU, Penny is a best-selling author and internationally recognized book marketing and media relations expert. Her company is one of the leaders in the publishing industry and has developed some of the most cutting-edge book marketing campaigns.